G Forss – How a Miracle can happen – How you can make a Miracle happen for you. If you are wondering what this dude is up to now, you will be surprised at the science of what I am about to purport. I am being real cute, right ? Worse then this I also have a report on my new writing … “The Fountain Of Youth”. I am having fun with this. I have new science ! What I have here is not really new but every time some ‘soul’ brings the science of miracles to light it doesn’t ‘take’ … It is just that humanity is so gripped by the ‘Blossom’ that most of humanity exists in an “On” state and we cannot comprehend anything that is coming our way that is not money mongering stuff. This is the selling state we all need to maintain to make a living. Well, there is a child-self in us early on, even before we mature physically. This self goes to sleep in us when it is not happy. This ‘self’ is the source of a miracle cure when someone is sick or crippled, but we have to wake it up ! Here is the science … the science of mere observation. Did you know that a healer does not actually make a miracle happen. Instead, the healer is able to communicate with an ill person, ill of mind or body, in such a way that the healer’s subject will feel loved and wanted suddenly and this will allow the child-self to wake up and such an ill person’s illness will go away. This person will experience an instantaneous remission of their illness. Note that the ill person was gripped with an affliction that was self induced ! Jesus was doing this and other healers of his time. Read my books. 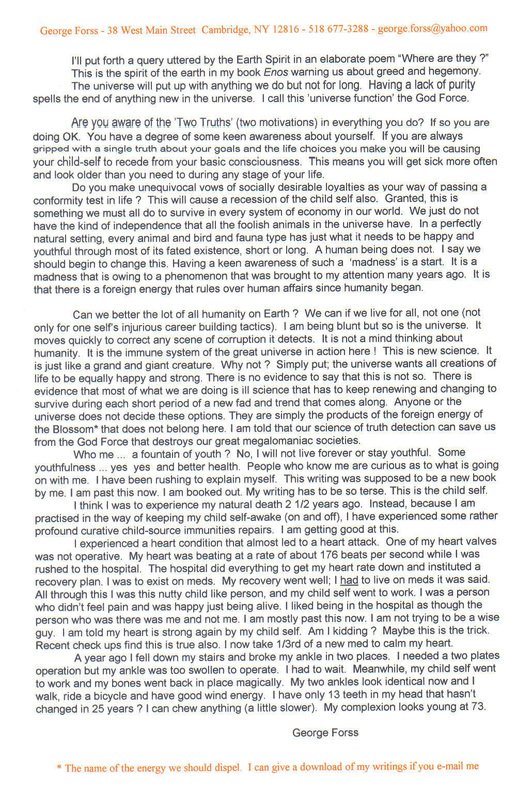 I can send files of my writings via e mail to you. no charge. Wake up ! 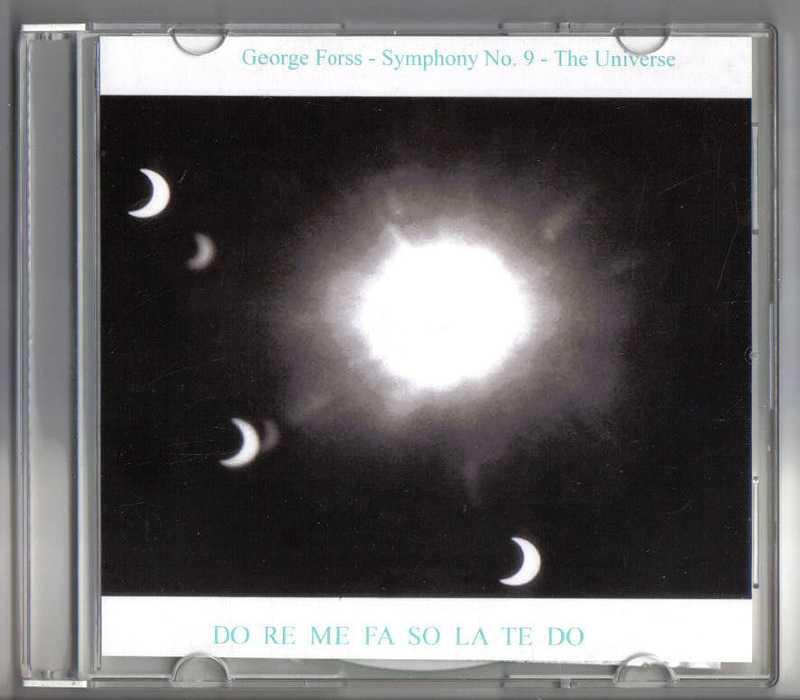 George Forss Symphony No. 4 Where am I ? 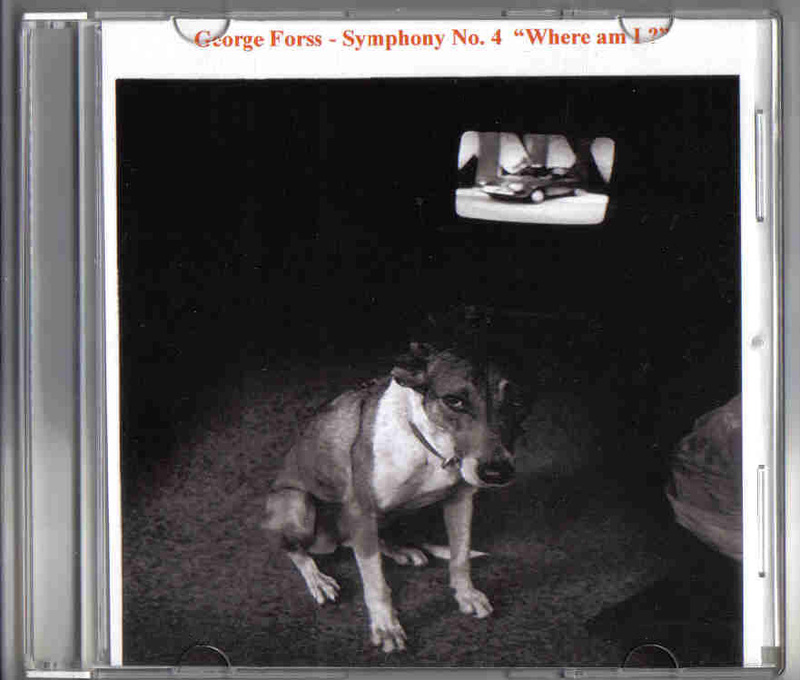 George Forss composer here (sort of). 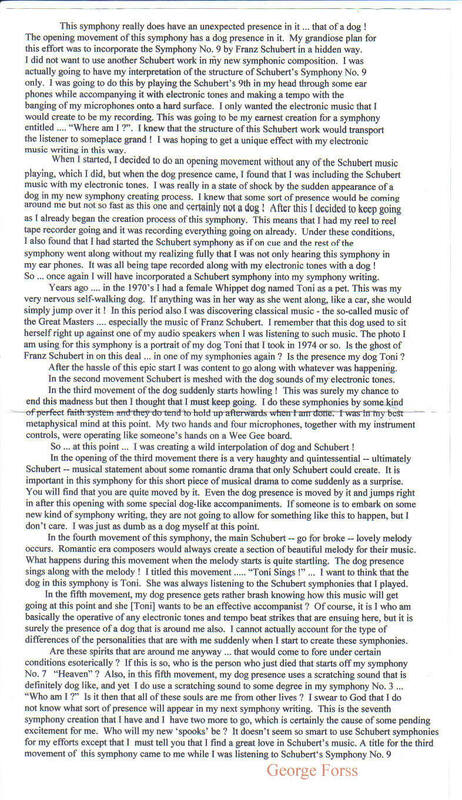 In 2003-2004 I created nine symphony’s utilizing sounds I was able to create with an array of electronic feedback sounds that were coming from all the audio components I had in a makeshift studio. I know that these weird sounds were the fault of the wiring I did in my studio. Still, I found that I had quite a great spread of sounds and tonalities that I could use to create music with ! I was fascinated by these sounds. I learned to use them as my ‘orchestra’. Not only this … I found that I was attracting a ‘presence’ when I set out to compose a given symphony. This is all very difficult to explain. I find that I have been a medium all along in my writings and photography … and the symphonies. 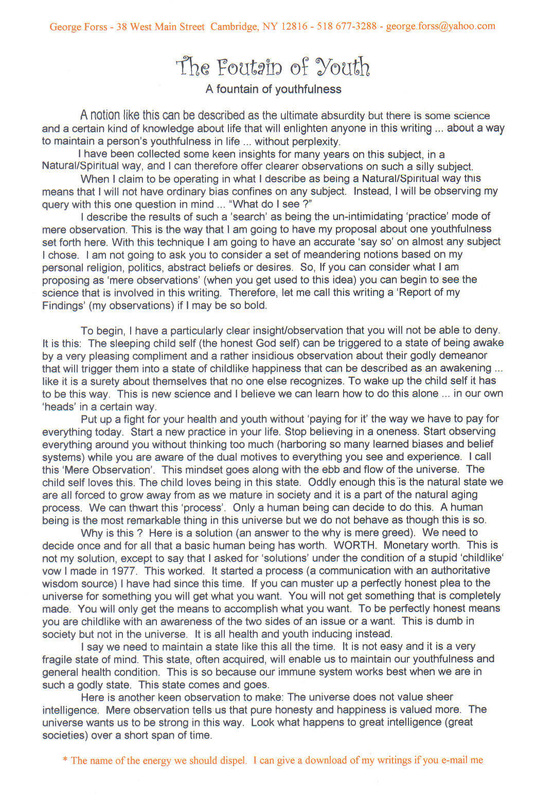 The attached text page here will explain more. 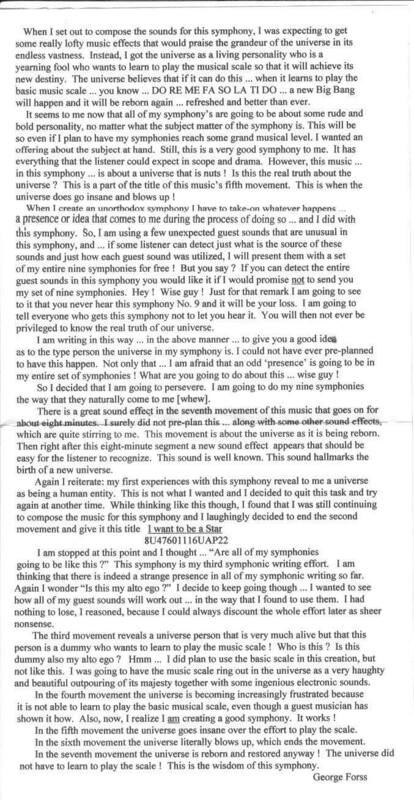 This symphony No. 4 is a dog presence with Shubert music. I have a disk of each symphony to sell @ $25. The jacket above shows the disk. The text page is also with this disk.